In this WJ Notes we address three timely topics including: recent portfolio performance, a review of recent trading activity, and performance of the Stone Ridge Reinsurance Fund. Why is everything else down and US Stocks are up? No one knows the answer for sure. Trump, a stronger US dollar, rising interest rates in the US, tariffs, and tax cuts are all reasonable answers and more than likely it is a combination of all of them. We expect to own investments that do well and some that struggle. The good offset the bad. This is called diversification. It is the only free lunch in investing because you can achieve higher returns without increased risk or the same return with decreased risk. It may seem like this has been going on for years, but just last year the best performing asset class was International Emerging (the worst this year). The following chart includes 2017 performance. Our experience has been we only get this question when portfolios are under-performing US stocks. Why? The Media. No, it is not the media making up fake news, rather it is the media only giving part of the story. The only type of investment the media reports on is US stocks. They rarely mention how emerging markets stocks or managed futures have performed. They may mention bond yields, but bond yields move inverse to bond values, so that bit of news is difficult to interpret. The media talks about what most investors care about (not surprisingly) which is US stocks. The worst mistake an investor can make is chasing the hot asset class or investment. Today that hot asset class is US stocks and the urge to buy US stocks is exacerbated by the media constantly touting how great the “market” is performing. Staying diversified, with a well thought out, balanced portfolio will not be the most exciting ride, nor appear the best idea at the time, but will get you to your ultimate destination with as smooth a ride as possible. We are replacing GW&K Municipal Bond Fund (GWMIX) with Wells Fargo Municipal Bond Fund (WMBIX). GWMIX is a core bond holding that has been in the portfolio for over three and a half years. The fund has performed roughly in line with expectations, slightly outperforming its benchmark. However, after tracking WMBIX for the last few years, we feel that the manager at Wells Fargo will outperform GWMIX. The manager has been able to pick higher yielding bonds that have been more resistant to credit shocks than GWMIX. Said differently, WMBIX has been able to increase performance without increasing the fund’s risk. We are reducing our position in the Litman Gregory Alternative Masters Fund (MASFX) and replacing it with the Stone Ridge Alternative Lending Fund (LENDX). MASFX has strong returns when adjusting for the risk, but it takes very little risk. For this reason, we have been funding the position out of the bond portfolio. However, we have identified LENDX as a fund that can exhibit a similar level of risk, but with higher returns.LENDX invests in consumer loans from platforms that many of you may be familiar with. These platforms include Lending Club, Square, Sofi, etc. These platforms use technology to make smaller, competitive yielding consumer loans in a more efficient manner than a large bank might be able to. LENDX’s portfolio is comprised of small business loans, student loans, debt consolidation loans, etc., all made to high credit quality buyers. Like the reinsurance fund we purchased late last year, the fund is an interval fund with monthly liquidity. Finally, we are selling the GMO Benchmark Free Allocation Fund (WABIX) after holding it for many years. We have great admiration for its managers and follow their research closely. They have been managing money for decades and have an impressive long-term track record. 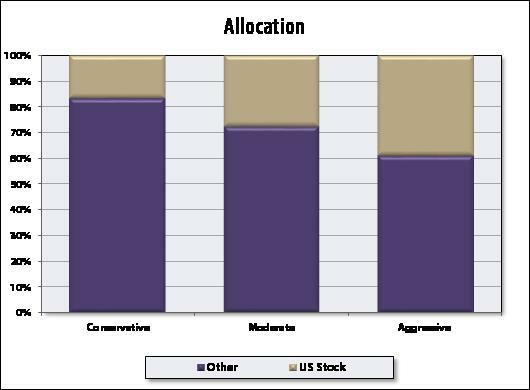 Historically, the fund has done well when markets struggle as they tend to focus on undervalued asset classes. This approach can lead to long periods of under-performance. We employ a somewhat similar strategy using their research. We felt this was “doubling down” on the manager’s view of the markets, and thus decided to sell the fund. This is entirely expected. From time to time we will have large scale disasters that impact reinsurance. The severity and frequency determine the ultimate impact on reinsurance and the return on the fund. Specific to hurricanes, the reinsurance industry is very sophisticated. Whatever you believe and whatever the media says about changes in the frequency and severity of hurricanes, it is being accounted for in the premiums charged by the reinsurance industry. Hopefully we will avoid more major disasters this year and the fund will continue to add value to portfolios. Even if we do not, we believe over time its uncorrelated return pattern will be a positive contributor. If you have questions regarding any of these topics, please contact us. We appreciate the confidence you place in us in assisting you to reach your financial goals.